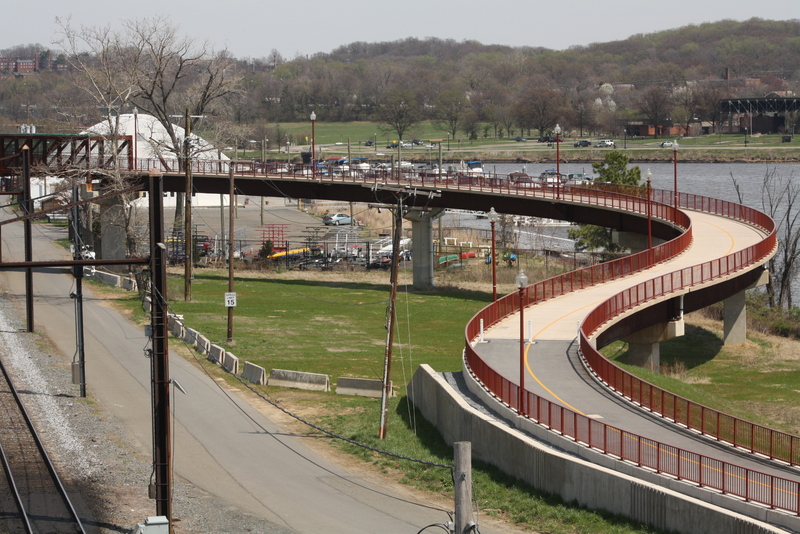 The $20 million Anacostia Riverwalk Trail project by DDOT improved neighborhood connections and access to Anacostia National Park. The 16-mile-long trail follows the east and west banks of the Anacostia River. Approximately50,000 residents within walking distance of the trail. DDOT placed bridges along the route to provide improved access to the shared multi-use trail for pedestrians and bikes, growing mobility for the community.